Google Glass can send an email on the fly or take a hands-free photo. But did you know it could also help you shoot a target without even having to look? Tracking Point, an applied technology firm focusing on precision guided firearms, on Wednesday released a prototype video (above) ShotView, a Google Glass app that, when paired with the right weapon, allows shooters to aim around corners. The app is currently in its testing phase. 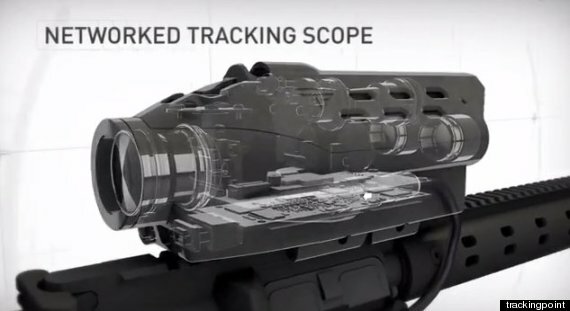 This is not a curved bullet scenario: The weapon's scope is equipped with a camera, which streams video via WiFi to a connected device. The ShotView system already works with smartphones and tablets (and regular consumers can download that version of the app), but the Google Glass app makes it a hands-free experience. A rep for Tracking Point told The Huffington Post that there are no plans to make the hands-free app available to consumers. ShotView lets shooters take cover around corners, behind walls or from any other position that could provide cover while still getting the perfect shot. 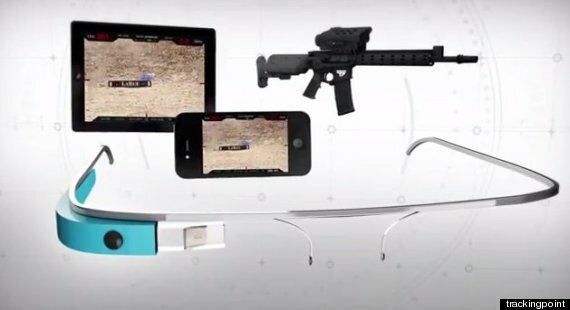 Tracking Point isn't the only military-style app being developed for Google Glass. Researchers at an Ohio Air Force base are working on a project called Batman, which tests potential uses for Glass, including communications between ground teams and overhead aircraft, both in military situations and for first-responder pararescue teams. Even the New York City Police Department has been testing Glass to see if it could be useful for surveillance and patrol purposes. Google Glass may not be the smartphone of the future that Google hopes it will be, but that clearly won't stop it from serving other purposes. This post has been updated with a statement from Tracking Point.